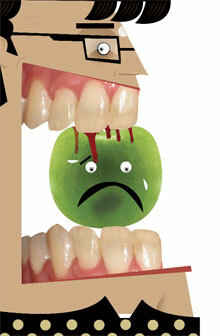 VEGETABLES and fruits are still alive when you eat them raw, so say USÃ”Ã‡Ãªresearchers. They are just like flowers who continue to be alive, at least for a while, even after you pluck them and place them in water in a vase, says Janet Braam, lead researcher and professor of biochemistry and cell biology at Rice University, US. This is because plants are built in parts and these parts, such as vegetables and fruits, can be relatively independent of the rest of the plant, Braam explains. Cells in their tissues, therefore, do not immediately die even after being cut. We can do a great service by not plucking fruits and vegetables that are not matured yet. At least this way, we can a little more life span to them.